Several years ago, I served as the Grand Marshal for Seattle's St. Patrick's Day parade. That year, the visiting dignitary was Noel Dempsey, then the Irish Minister for Communications. Noel explained to me that each St. Patrick's Day, the demand for Irish dignitaries empties their country of politicians as they fan out to festivals around the world, bringing Irish cheer to all corners of the globe. Some years I celebrate vicariously through my son Andy, who is usually at the heart of the action in Dublin. There he's joined by about a hundred foreign-exchange students, as he leads them on a three-day tour of the festivities through his student-based tour company. 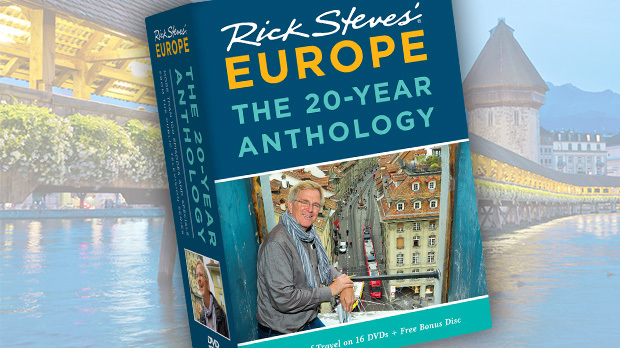 Like Carnevale in Venice, Easter in Rome, and Oktoberfest in Munich, St. Patrick's Day in Dublin is the type of experience where lifelong memories are created. 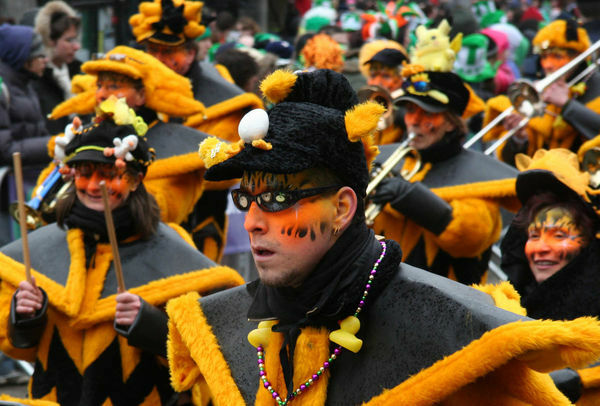 Dublin's St. Patrick's Day festivities are highlighted by a giant parade. All along the two-mile parade route, revelers sport an assortment of goofy hats and festive face paint. Delicate little sprigs of live shamrock clover are pinned to lapels and hats everywhere. The parade features a quirky conveyor belt of visual and audio stimuli, including school marching bands, giant puppets spidering along the street on long poles, crosier-staff-bearing St. Patricks in flowing green robes anointing the crowds with mock blessings, and colorful floats blowing Lawrence Welk bubbles and swirls of cloudlike foam into the air. The revelry continues long after the parade ends. Bands on outdoor stages churn out lively rhythms laced with fiddle, banjo, and flute. Irish dance troupes featuring lasses in short skirts perform a precision swirl of set dancing as locals break into their own ragged impromptu dance steps, locking elbows and kicking up their heels. With all of the beer-drinking and celebrating going on, it's easy to forget the origins of St. Patrick's Day. March 17 commemorates the day St. Patrick died. A Roman boy enslaved by the Irish, Patrick helped Christianize Ireland peacefully in the fifth century. Legend has it that Patrick used the shamrock, with its three petals on one stem, to explain the Holy Trinity while converting a pagan Irish king. As is typical of any day in Ireland — not just St. Paddy's — the real action is in the pubs. "Pub" is short for public house — an extended living room where, if you don't mind the stickiness, you can feel the pulse of Ireland. 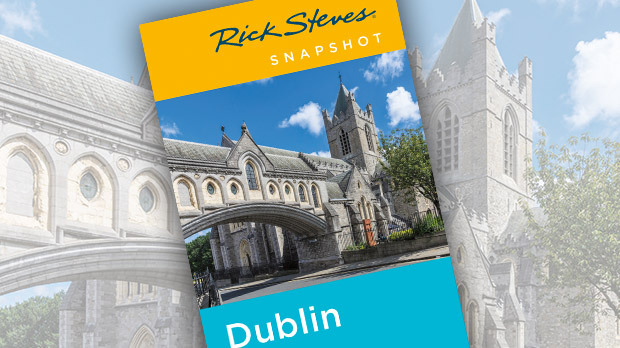 In Dublin, my favorite pub neighborhood is Temple Bar, south of the river. While rundown through most of the 20th century, this revitalized center feels like the social heart of Dublin. It's fun to people-watch here. The girls are wrapped up like party favors, and the guys look like they're on the way home from a hurling match. 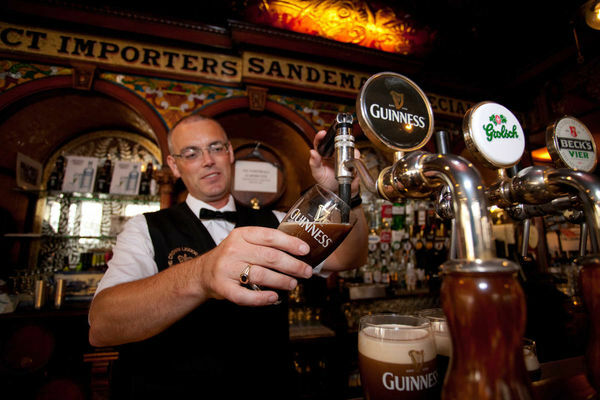 Good places to hit include Gogarty's Pub, the Palace Bar, and Porterhouse, featuring Dublin's best selection of microbrews. But the king of beers is still Guinness. This is where Arthur Guinness began brewing his famous stout in 1759, and to this day, his brewery still occupies several city blocks along the river. A huge exhibit fills the old fermentation plant like a shrine. A tall beer-glass-shaped atrium — 14 million pints big — soars past several floors of exhibitions to the Gravity Bar, which gives visitors a commanding 360-degree view of Dublin. Despite competition from other brews, Guinness still rules: When you say "a pint, please" in a Dublin pub, you'll get Guinness. If you think you don't like Guinness, try it in Ireland. It doesn't travel well and is better in its homeland. Murphy's is a very good Guinness-like stout, but a bit smoother and milder. For a cold, refreshing, basic, American-style beer, ask for a lager, such as Harp. Ale drinkers swear by Smithwick's. Caffrey's is a satisfying cross between stout and ale. Try the draft cider (sweet or dry)...carefully. In Ireland good beer comes with good music. For a toe-tapping introduction to "trad," as traditional music is called, I recommend the Musical Pub Crawl in Dublin. The group visits three pubs while witty musician-guides explain and demonstrate their instruments, offering travelers an educational foundation for Irish music appreciation (and usually a nice Guinness buzz). After this tour, a night at an Irish pub listening to trad will hold much more meaning. The atmosphere in an Irish pub is something you won't find elsewhere. When the beer, the music, and the convivial spirit of the crowd all come together just right, you feel you know what it is to be Irish — even if it's not St. Patrick's Day.